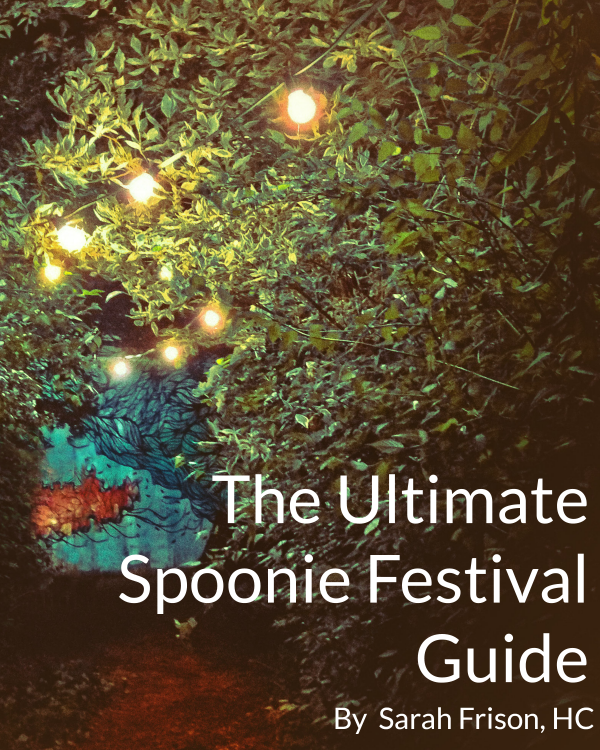 I love a good festival but for us spoonies they're just a little more of a challenge. Not to mention a complete and utter impossibility & the worst idea ever, sometimes. If you're in Western-Europe, you can go to 1 every weekend, it seems even the smallest village has a massive festival with big, international names. Elbow, anyone? Did you know you can select any sentence in this post & share it on Facebook or Twitter? Give it a go. With enough planning, festival are totally doable. It depends on the festival (3 days with camping on-site = way harder than 1-day inner-city festival). Most festivals have free live stream options on their site so check those out if you can't make it there. Check out your local tv channels for coverage of your favorite festival if you can't make it. If you do decide to go: ask, ask, ask, ask & ask again. Think about everything you'd need when you're there and then start figuring out how you can get that done. The best place to start is the festival's website. You should able to find information about accessibility and their general rules about bringing your own food & drinks. Most of the time they'll have decent guidelines for accessibility, but they won't allow you to bring your own food. That doesn't mean they'll never allow it, but you need to know their guidelines before you contact them. If they do allow food (think relaxed venues in parks or on campsites) you've struck gold and it'll be so much easier. Once you know their general guidelines you'll want to start digging a little deeper. Think about everything you'll need. Will you need clean toilets? See if they use portable toilet vans or dixies. Hint, you don't want a dixie. If they have those toilet vans, that's awesome because they stay relatively clean and you'll be able to use the bathroom without worrying (or throwing up!). Will you need to sit down? If you're going to an inner-city festival, that's easy because there's always a curb or a bench somewhere--- looking sheet-pale will get people moving out of the way real fast. If you're going to a festival in a field, ask if you can bring a chair or if they have places to sit (in the shade). If worst comes to worst you can always just lay down anywhere. It doesn't do anything for your festival spirit so try and avoid doing that. Don't worry about what people might think, they'll probably just think you're high (or drunk, depending on the festival :) ). Think about things like medications and what you'll need to take them. Think about things like how to get to the festival site. Will there be bus shuttles? Will you have to walk there? If there's someone going with you, will they be able to drop you off at the entrance and then park their car? I went to an inner-city festival last year and they had taxi shuttles, they were complimentary because they were promoting a new service, but it was so worth it. Being dropped off at the site and just walking straight inside is so worth it. Next think about what you'll be eating. I'm a gluten-intolerant GPr so finding something to eat can be a bit of a challenge. Being able to bring your own food helps but having a shake or something for dinner surrounded by all that great smelling festival food just isn't fun. If they've got Chinese food stalls you'll probably be able to get some eggy rice or some chips or something. If you can find the names of the stalls you can contact them and see what they'll bring to the festival. Bigger festivals even have gluten-free & vegan information on their website. This is where you'll want to call/email the festival organization. Once you know what you'll need & what the festival guidelines are, you can ask for an exemption. Explain you have a medical condition and you'll need to bring medication/food/water/anything else. Try to get a note from your doctor before the festival saying you really do need to bring this stuff with you. Acknowledge they have those guidelines for a reason (A.K.A. if you don't bring your own drinks you can't kill the band) and ask for what you'll need. Just be nice about it. Most of the time they'll be accommodating. Once you've been able to get everything you'll need and you've got permission (if you know they don't do bag checks at the entrance you can always risk it and just bring your stuff, can they arrest a disabled person?) put everything in a big purse (or less stylish, a backpack), head out and remember to have fun!